CPE class; $47/term non-refundable reg. fee + $402/credit. Refund and class swap policies differ from Univ. day classes; please see www.UMassULearn.net for more information. This multidisciplinary course discusses the built environment from the urbanization-urban development perspective. It examines the built-natural environmental relations shaping cities from both the north and south hemispheres, yet with emphasis on the latter. Throughout the course we will engage in a varied of activities concerning numerous urban themes that result from the interactive social, economic, political, and cultural forces factored in the built environment. Students and the instructor engage in various activities and discussions pertaining to numerous urban themes including but not limited to the formal and informal economy, job market structures, housing, gender relations, child labor, land-use and transportation, government and civil society, poverty, education, the environment, and climate change. The program pursues the discussion of the cities within the realms of globalization. Communities of the 21st century need to be different than communities of the later 20th century, and it is time to plan for what those differences are. A key factor impacting our cities, among others, will be climate change. 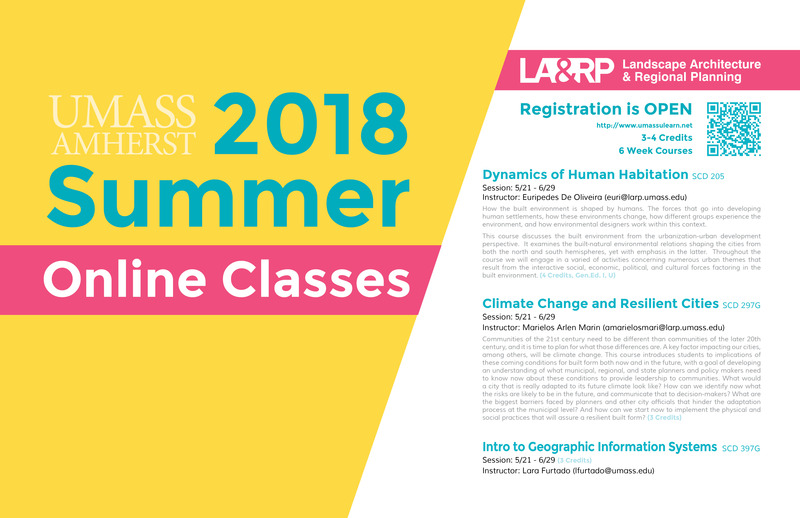 This course introduces students to implications of these coming conditions for built form both now and in the future, with a goal of developing an understanding of what municipal, regional, and state planners and policy makers need to know now about these conditions to provide leadership to communities. What would a city that is really adapted to its future climate look like? How can we identify now what the risks are likely to be in the future, and communicate that to decision-makers? What are the biggest barriers faced by planners and other city officials that hinder the adaptation process at the municipal level? And how can we start now to implement the physical and social practices that will assure a resilient built form?